Sleep in Heavenly Peace schedules events called “Build Days” where the construction of the beds are done. We take a pile of wood and with drills, sanders, saws and paint brushes, bunk beds are completed. Our simple design is easy to follow and takes no woodworking experience to learn. During these Build Days, experienced volunteers show and teach other volunteers the different stages of the construction process. 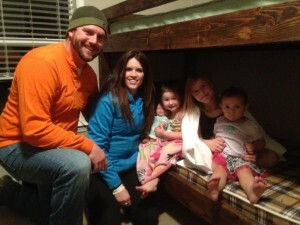 With the completion of each bunk, volunteers help deliver the beds to the families in need. Due to the sensitivity of the situation, delivering a bed requires only a few volunteers. Sleep in Heavenly Peace was started from the voices of people willing to open their mouths and spread the word. It takes all of us to find, organize and supply these terrific children beds to sleep in. You will be amazed at the response you receive when you share with others your involvement with our group. The more volunteers that we have, the more beds we can build and children we can help. Spreading the word may be the most important way for people to volunteer. Volunteering with Sleep in Heavenly Peace can provide a number of wonderful benefits. 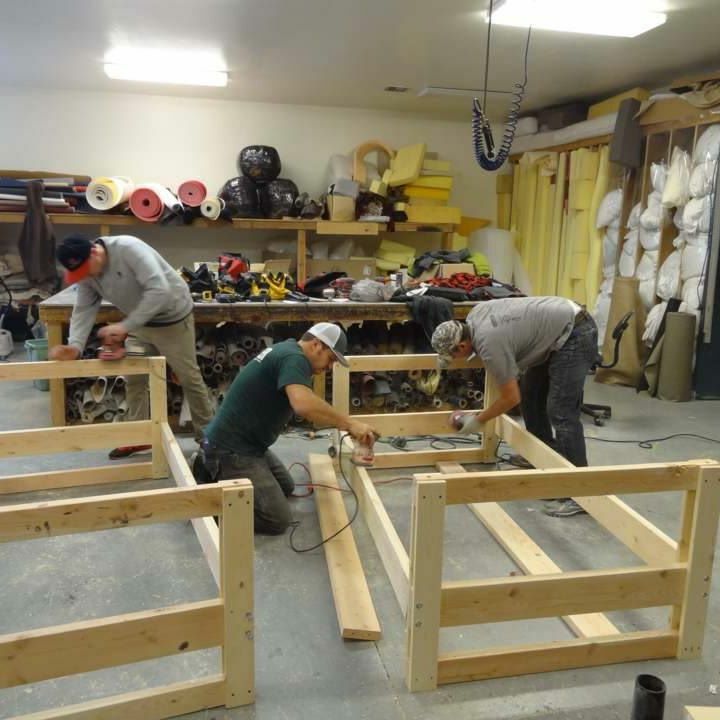 Our volunteers learn how to build bunk beds. They have a chance to learn how to use woodworking tools such as saws, drills, sanders, hammers and many other pieces of equipment. They learn how to measure, level and make true wood cuts. They learn how to sand and stain wood. They even get to see how branding a bed works. Our volunteers can have an opportunity to deliver a bed to a family in need. They see what conditions people are sometimes forced to live in and this can help them appreciate the blessings they have. It gives them a sense of accomplishment and service to their fellow man. Most of all, they get to see the faces of the children as they climb into their newly delivered beds. This is a moment not easily forgotten. Our volunteers have the opportunity to meet other wonderful volunteers within their community. Rubbing shoulders with complete strangers while building a bed for a needy child can turn into lifelong friendships. The project brings people closer together as we are all focused on the same goal, helping children Sleep in Heavenly Peace. Each volunteer is required to fill out an Indemnification Release Form. No child under the age of 12 is allowed to participate in a Build Day. Overage minors are required to be accompanied by a legal guardian. Find your closest chapter on the Sleep In Heavenly Peace Contact Page. Call, email, text, or fill out the form on the Contact page and your local chapter Volunteer Coordinator will reach out to you. Invite your friends, service group members or co-workers! Spread the word on Facebook and other social media. Feel great about learning new skills and helping children in your community.